MAXCHEM 400 – CHEMICAL RESISTANT HIGH TEMPERATURE COATING is a solvent free coating utilising the latest novolac polymer technology. 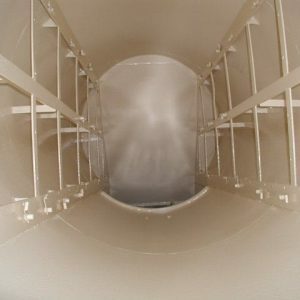 The material provides excellent chemical protection for applications subject to high service temperatures. 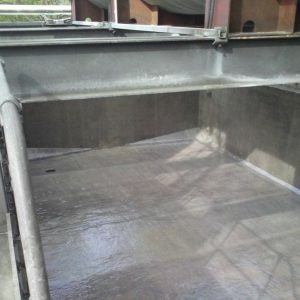 The products designed for the long-term protection of steel and concrete surfaces subject to constant chemical immersion at elevated temperatures. 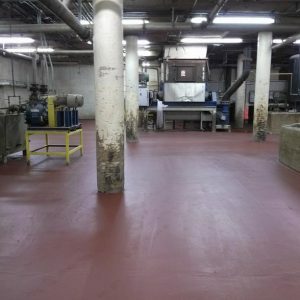 MAXCHEM 400 – HIGH TEMPERATURE CHEMICAL RESISTANT EPOXY NOVOLAC COATING is a high build solvent-free high functionality epoxy novolac coating designed to provide outstanding chemical and corrosion protection of steel and concrete structures at elevated temperatures. 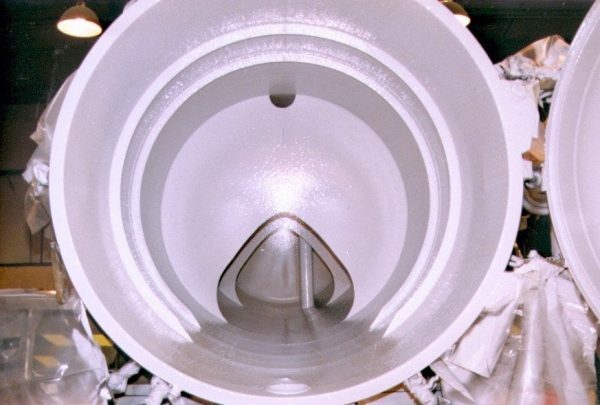 MAXCHEM 400 – HIGH TEMPERATURE CHEMICAL RESISTANT EPOXY NOVOLAC COATING is particularly resistant to strong acids and concentrated industrial chemicals including 98% sulphuric, 36% hydrochloric. 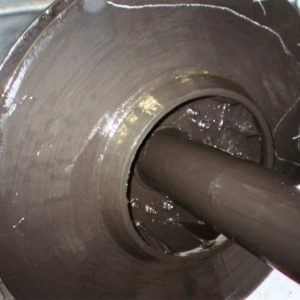 Once cured the material is capable of withstanding temperatures up to 90°C continuous immersion, dependent on chemical contact. Remove any contamination and lightly abrasive blast or scarify taking care not to expose the aggregate. Using MAXPRIME 100 or MAXPRIME 200 – Mix the base component (amber liquid) with the activator component (amber- liquid) in full units as supplied, ideally, use slow speed paddle mixer. When mixing both materials, it is essential to have a uniform streak free fluid. Once mixed, the material should be used within 25 minutes at 20°C. Mix the PART – A (amber fluid) with PART – B (red or grey) in full units as supplied. When mixing both materials, it is very important to have a uniform streak free fluid. 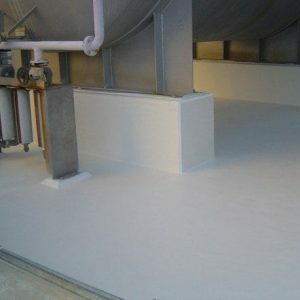 Once mixing is complete, the material should be used within 20-25 minutes at 20°C. To ensure best results use the mixed fluid as soon possible after mixing. Basecoat – Apply the mixed material onto the prepared surface by brush or roller. The base-coat should be applied at a minimum target film thickness of 250 microns. Topcoat – Apply the second coat at a target thickness of 250 microns as soon as possible after the first coat is dry and not in excess of 6 hours. 1 litre of mixed product will cover 4 sq metres at a nominal film thickness of 250 microns per coat. At 20°C the applied materials should be allowed to harden for the times indicated below before being subjected to the conditions indicated. 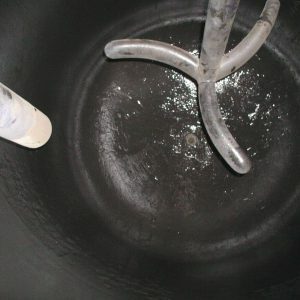 For optimum performance, after an initial curing period of at least 12 hours at 20°C, raising the cure temperature progressively to 60 – 80°C for up to 8 hours will result in improved chemical resistance properties. Maximum – over-coating time 6 hours. The data contained within this Technical Data Sheet is furnished for information only and is believed to be reliable at the time of issue. We cannot assume responsibility for results obtained by others over whose methods we have no control. It is the responsibility of the customer to determine the products suitability for use. Maxkote accepts no liability arising out of the use of this information or the product described herein. For more detailed information on chemical resistance for this product, do not hesitate to CONTACT US!